In most cases when I try to explain in a brief sentence the focus of my research to family or friends unfamiliar with food studies and the recent debates of the field, they walk away with the two words: immigrants and local food. Their follow up question often hinges on the question of how immigrants, particularly new arrivals from countries with distinctly different climates, geographies and cuisines can maintain their traditional diets in a new country. Does supporting locally cultivated and produced food in a new country require giving up traditional diets? The question is a valid one, how can local food movements in the basic sense of food provisioning accommodate for non-local diets? Asked differently, how can products that are not native to Ontario’s local foodshed be produced locally? In some cases it can be effectively impossible. Despite a variety of technological and scientific improvements and changes, Canada, even in its more temperate locations, does not have the appropriate climate to grow certain plants. (Coconuts, plantains, coffee, and mangoes are just a few that come to mind). However, there are several edible plants that have grown in Canada for generations, but have never been farmed or sold widely for general consumption. Similarly many plants that have not traditionally grown in Canada can thrive in our climate and soil. What has been lacking is often information and political will. This has slowly begun to change and a variety of organizations and actors in Toronto have in recent years been working to research the viability of increasing local production of this produce, which is referred to as world foods, ethnic crops, cultural foods, among other names. Research has been varied, but largely focused on identifying the barriers to increasing production of ethnic crops, necessary steps to increase support for farmers interested in growing these crops and consumer surveys to evaluate demand (Adekunle et al., 2012.; Feeding Diversity) The Worlds Crop Initiative, a joint partnership of the Friends of the Greenbelt Foundation, The Stop Community Centre, and Vineland Research and Innovation Centre has researched the optimal growing and storage conditions of several of these crops and produced guides that are freely available for those interested in growing them. The McVean Farm Incubator Program run by FarmStart has offered new farmers interested in growing these crops the space and facilities required to get their projects off the ground. Increasing production of Locally Grown Global Crops is even one of the six broad projects supported by the Toronto Food Strategy team. Other initiatives have worked to increase the profile of locally grown crops of this variety, such as the Toronto Environmental Alliance Locally Grown Culturally-Specific Food Guides aimed at Chinese, South Asian, Middle Eastern and African/Caribbean populations. These initiatives show that providing locally grown global crops is definitely on the agenda in agricultural and political conversations about food in Ontario, but the conversation should not end here. While it is extremely important that the local food system is able to provide a wider variety of produce to cater to the diverse population that lives and eats in Ontario today, to reduce the question of immigrant participation in local food to vegetables is to miss the larger picture. As stated by Hammelman and Hayes-Conroy, “When cultural acceptability becomes little more than access to ‘‘multicultural ingredients,’’ we risk losing sight of the original target—culturally sensitive food practice and policy” (2015, 40). The local food system needs to move past the simple model of inclusion of immigrants through inclusion of new food items and actually restructure itself in a way that fundamentally represents the variety of people living in Ontario. New immigrants disproportionally experience food insecurity, with 19.7% of respondents compared to the national average of 12.5% (Tarasuk et al., 2013). Improving their rates of food security will require more than simply providing locally grown vegetables that are familiar. 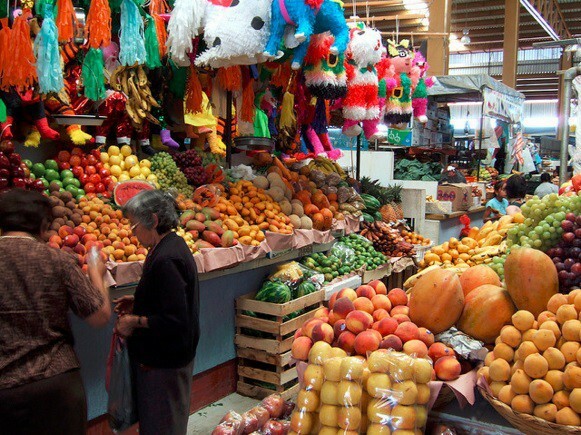 The initiatives listed above do not cease to be important, but need to be part of a larger strategy to reform the food system to represent marginalized populations, especially considering the continuing extremely high rates of food insecurity reported by Latin American, Aboriginal and black households. Fostering cultural acceptability in the food system must be seen as a process that is continually negotiated, not a list of produce. To better understand the ways in which the food system is currently failing certain groups, research needs to be conducted directly with these communities to record their stories and viewpoints. This research needs to move past analysing these groups solely as consumers and a potential market, but as actors with complex identities, experiences and viewpoints. Culturally acceptability depends on moving past diverse food provisioning to increasing representation of new immigrants, racialized communities and indigenous communities in the process of food system policy formation. Feeding Diversity. Community Access and Commercialization of World Crops. (2013) Vineland Research and Innovation Centre, Toronto Public Health and the Toronto Food Policy Council. Tarasuk, V, Mitchell, A, Dachner, N. (2015). Household food insecurity in Canada, 2013. Toronto: Research to identify policy options to reduce food insecurity (PROOF). Thanks for the great article on culturally appropriate food! I really liked what you said about how important the inclusion of culturally sensitive food practice and policy is, and how you pointed out of organizations working on this. A few I haven’t heard of before, so I will have to look into them. Access to culturally appropriate food is such an important part of welcoming new immigrants to Canada! In our team’s research at Guelph, we have been finding similar patterns and challenges. I look forward to reading future blogs and looking at your team’s research.